We'd like to make sure your shopping experience with us is as easy as possible. If you have any questions at all about your order or about our company, products, website, or policies, please call or email us, and we'll get back to you as soon as possible! 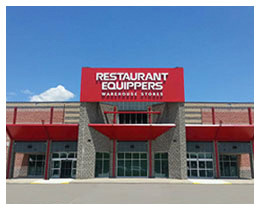 I'd like to receive Equipper's exclusive newsletter and be the first to see new products, special deals, and more! Your privacy is very important to us. We do not sell, rent or trade your Personal Information to third parties.